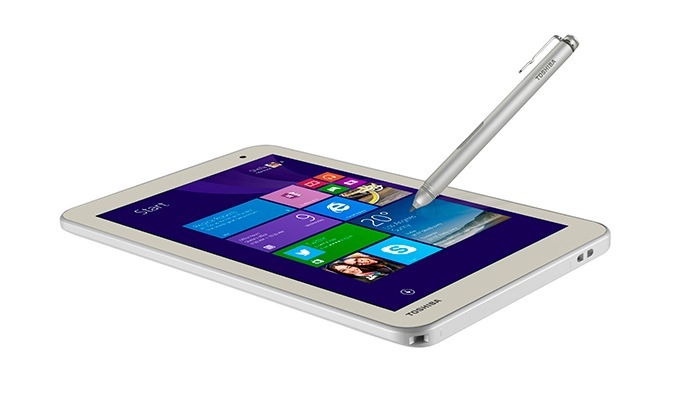 Toshiba has been busy this month unveiling a variety of new Windows 8 tablets at this year’s IFA 2014 technology event, now another new tablet has been unveiled in the form of the Toshiba Encore 2 Write which as the name suggests comes equipped with a digital pen. The Toshiba Encore 2 Write will be available with either an 8 or 10.1 inch screen and both are powered by Intel Atom Z3735 quad-core processors and supplied running Microsoft’s latest Windows 8.1 operating system. Unfortunately no information on pricing or worldwide availability has been released as yet by Toshiba about the new Toshiba Encore 2 Write tablets, but as soon as information comes to light we will keep you updated as always.